Our faculty is committed to leadership in clinical doctoral education through academic excellence, scholarly contributions to the profession, service to the local and international community, and fostering moral agency/professional values within our graduates. This program was the first in the nation to offer the clinical doctorate in entry-level physical therapy education. The curriculum continues to evolve through integrated course content that reflects the dynamic and ever-changing health care landscape. Our experienced faculty are national and international leaders in their areas of expertise who strive to mentor students to be the next leaders in the physical therapy profession. Our graduates are positioned for success view our student achievement and accreditation for more information. developed the first Doctor of Physical Therapy (DPT) program in the United States, a testament to the culture of excellence and innovation woven into the history of the program. includes Board Certified Specialists (ABPTS) in cardiovascular and pulmonary, geriatrics, orthopedics, pediatrics, neurology, sports medicine, women’s health, and wound care. set research agendas that range from quantitative clinical trials (Rehabilitation Science Research Laboratory) to mixed methods educational research. possess a visionary and pioneering spirit that strives to meet the needs of developing healthcare professionals, the physical therapy profession, and the individuals and communities we serve. hold significant leadership roles at the local, state, and national levels, demonstrating expertise and a high level of commitment to furthering our profession. Click here to learn more about the faculty in Department of Physical Therapy. an educational process that incorporates a scientifically-grounded clinical reasoning paradigm unique to the practice of physical therapy. the development of adaptive learners and training of exceptional academic and clinical educators. innovative curricular revisions to integrate content across semesters to optimize student learning and ensure that it prepares physical therapists to meet the changing needs of society. Visit the Curriculum webpage for more information. 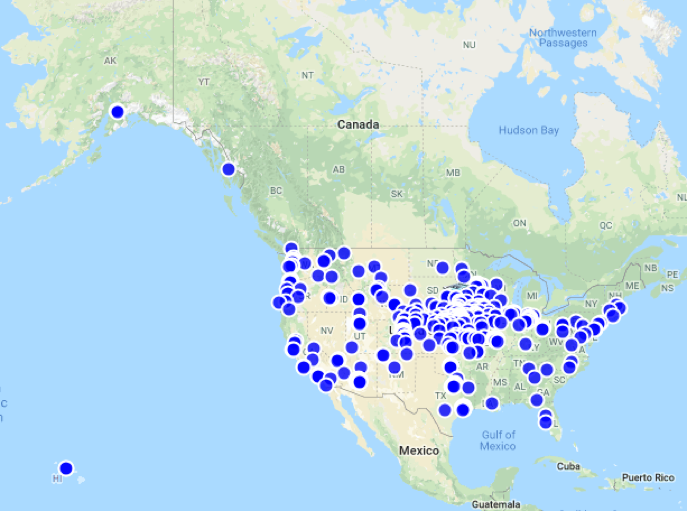 active affiliations with over 350 clinical partners around the nation to support our mission to provide each student with 44 weeks of clinical experiences in a variety of practice areas. Visit the Clinical Education webpage for additional details. the development of advanced practitioners in geriatrics, orthopedics, pediatrics, neurology, and women’s health through five residency programs accredited by the American Board of Physical Therapy Residency and Fellowship Education (ABPTRFE). Click here to learn more about our post professional programs. a unique interprofessional common curriculum shared with occupational therapy fellows as part of post-professional residency education. quantitative research in the Rehabilitation Science Research Laboratory, including projects focused on fatigue and Parkinson’s Disease, knee injuries, healthy populations, movement patterns of pregnant and postpartum females, and early signs of autism. engagement in the scholarship of teaching and learning utilizing mixed methods educational research to improve teaching and learning. educational research topics that include the development of clinical reasoning skills across the continuum of physical therapy education, the development of mentorship in residency education, interprofessional education, and the impact of curricular innovations. research efforts that are enhanced by national and international collaboration and dissemination. the engagement of students and residents by faculty in ongoing research efforts to create an environment focused on evidence-based practice and teaching. local engagement opportunities such as the provision of pro bono physical therapy services, the conducting of balance and health screenings, and the presentation of educational sessions to a variety of community groups. international service learning and clinical education opportunities within the department. a partnership with the Institute for Latin American Concern (ILAC) in the Dominican Republic for the past 20+ years, offering a 4-week clinical education experience for entry-level students. new opportunities such as the China Honors Immersion Program (CHIP) in Habei, China.